On March 9, the U.S. State Department kicks off Global Partnerships Week, in collaboration with USAID and Concordia. 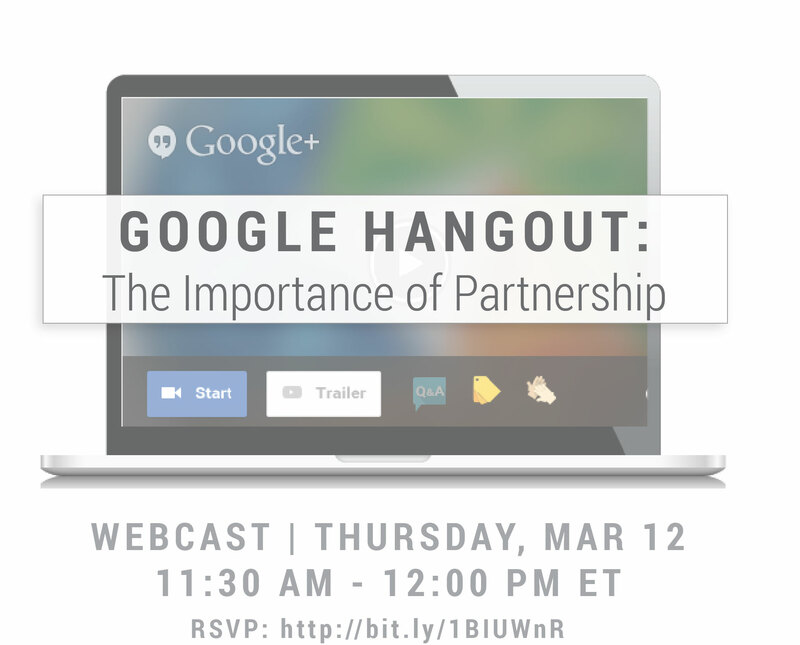 Join PYXERA Global for a Google Hangouts conversation on "The Importance of Partnership" Thursday, March 12 at 11:30 ET. To move the needle on any of the Sustainable Development Goals, we need “tri-sector partnerships" championed by tri-sector leaders. How can the global engagement community create, maintain, and capitalize on the power of this kind of partnership? Join Deirdre White, CEO of PYXERA Global as she speaks with leaders, CEO of PeaceTech Lab, Sheldon Himelfarb and CEO of PSI, Karl Hofmann to talk about how their commitments to partnership makes game-changing social impact possible. You’ll find out how you can drive for tri-sector partnership at your organization. Goal #17 of the United Nations Sustainable Development Goals (as currently drafted) is to, “Strengthen the means of implementation and revitalize the global partnership for sustainable development.” This goal is a methodology at the core of PYXERA Global’s approach and is key to achieving the worthy aspirations of the SDGs. About Global Partnerships Week, led by the State Department, in collaboration with USAID and Concordia. Karl Hofmann (@KarlHofmannPSI) is the CEO of PSI (@PSIimpact), a global health organization that works alongside local and global partners to create enduring and impactful health solutions. The organization works with governments and corporations to foster thriving partnerships that break through the conventional framework and bring development and business together to ensure prosperity in both health and wealth. Sheldon Himelfarb (@shimelfarb) is the President & CEO of PeaceTech Lab (@PeaceTechLab), which works at the intersection of technology, media, and data to devise means of reducing violent conflict around the world. It is a collaborative space where experts in technology work with experts in conflict management – and with fellows from the conflict zones themselves – to imagine, develop, and deploy new tools for the field. Deirdre White (@deirdrewhite) is a globally recognized leader in building tri-sector partnerships to address the world’s most pressing challenges. As CEO of the international NGO, PYXERA Global (@PYXERAGlobal), she has led the transformation of the organization to one that maximizes impact through strong and strategic partnerships. PYXERA Global does this through cutting edge programming in the fields of Global Pro Bono, Local Content Development, and Integrated Community Development. Join the conversation on Twitter. Send your comments and questions to @PYXERAglobal using #PYXERAglobal25. 2015 marks PYXERA Global’s 25th anniversary. Join us in a year-round celebration of 25 years of impact. Click here to join the community and learn how you can get involved. PYXERA Global leverages the unique strengths of corporations, governments, social sector organizations, educational institutions, and individuals to enhance the abilities of people and communities to solve complex problems and attain mutually beneficial goals. The PYXERA Global team is passionate and dedicated to navigating challenges and pinpointing purposeful global engagement opportunities for its clients and partners. Initiatives include a wide range of services from local content development to global pro bono programs and integrated community development efforts that transform lives and livelihoods.